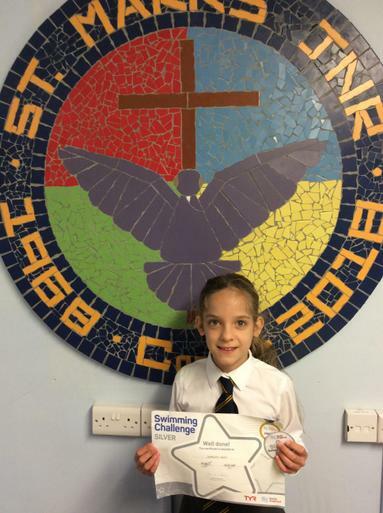 Charlotte has gained her Silver Swimming Award. She had to demonstrate a range of skills in the water and swim 800 metres to complete. Well done Charlotte.